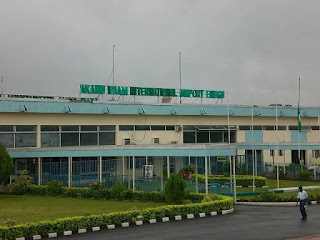 The Senator representing Ebonyi North senatorial district, Sam Egwu has described the condition of Akanu Ibiam International Airport, Enugu, as the most embarrassing among its peers in the world. 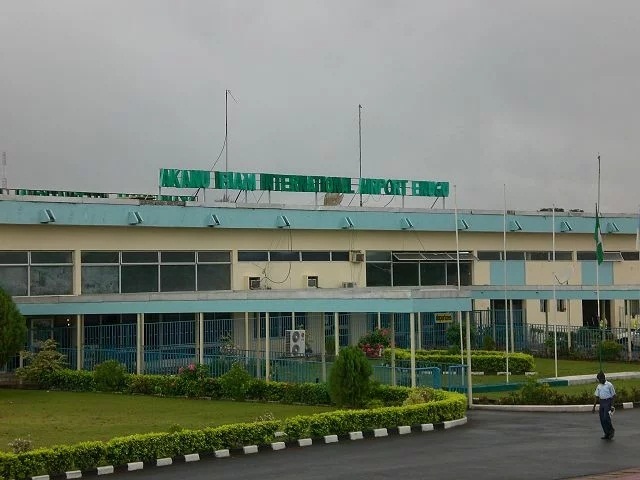 In a debate on the airport which was sponsored by Senator Chukwuka Utazi on Thursday, Egwu lamented that the airport which serves the people of the South East, South-South and North-Central has been left in a dangerously dilapidated condition. He explained that the Ethiopian Airlines, an international air outfit which uses the airport, have often complained of dilapidated runways which they have appealed to the authority for repairs. Enyinnaya Abaribe representing Abia Central senatorial district, called for investigation of the contractor that handled former repairs works on the airport, stating that it was unlikely that repairs were carried out during the last administration. Senate Deputy Leader, Bala Ibn Na’allah posited that the Enugu Airport was technically unsafe for landing. He explained that any airport which has a bad runway could damage the engine of an aircraft. “When you say an airport is technically unsafe, it takes into account demonstrated capacity of the runways,” he said. Barnabas Gemade representing Benue Southwest, on his part, said it was late to include the airport in the budget, noting that Senator Chukwuka Utazi ought to have brought up the issue prior to the planning of the budget. He however called for supplementary budget in that regard. Deputy Senate President, Ike Ekweremadu revealed that Ethiopian aircraft lost tyres on two occasions while landing at the airport, and they stopped their operations there. He added that other international airlines were not forthcoming despite its international status due to the condition of the airport. The Senate then adopted the resolution, calling on the federal government to resurface and reconstruct the runway of the Akanu Ibiam International Airport, Enugu.